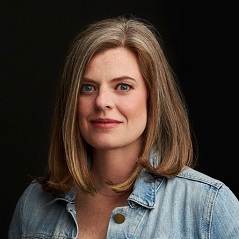 Siobhan Vivian is the New York Times best-selling author of eleven young adult novels, including Stay Sweet, The Last Boy and Girl in the World, The List, and the Burn for Burn series with Jenny Han. Prior to becoming an author, she worked as an editor at Alloy Entertainment and in Programming & Development at The Disney Channel. She currently teaches undergraduate creative writing at The University of Pittsburgh.